Welcome to Sweet like Pan Dulce! Join host Gabriella Campos, owner & designer of Miradela, co-owner of HTX Boss Babes, as she uses the magical powers of pan dulce to bring friends together! Tune in as she talks shop and spotlights friends and creatives everywhere! Now Available on Anchor, Spotify and Apple Podcast! Episode 1 Intro. Meet your Host Gabby, The queen of pan dulce! Join Gabriella Campos the host of Sweet like Pan Dulce and owner/designer of Miradela, as she introduces her new show to the world! Tune in as she talks about what her new podcast is about and her story behind her brand, Miradela! Episode 2. Elena flores of "sew bonita"
Join us as we receive a special phone call and interview from our favorite Chingona Elena Flores, owner, and designer of “Sew Bonita”! She'll be sharing her journey of how she started "Sew Bonita", the importance of adding value to your brand, the importance of collabs and of course her fave, Pan Dulce! We had great pleasure of having with the talented Tiffanie Wilkerson Manager and marketing guru of Woodlands “Kriser’s Natural Pet” Store and guess what?! We introduced to the MAGICAL world of Pan Dulce!!! Tune in as I give her a crash course and sample all my fave Pan Dulce, talk about the awesome marketing she’s invloved in for her store and a special Kriser’s + Miradela GIVEAWAY!! Get ready to get your Pan Dulce and Hot Cheetos on w/ the ladies of Mija Cultura! Tune in as we talk shop, sip on some tasty drink because it’s FRIDAY!!!! Follow Mija Cultura on IG @mijaculture for the latest updates on their events! Tune in as your host Gabby discusses the importance of work life balance and simply remembering to take care of yourself! She’ll discuss topics such as not getting sucked in the competitive world of Instagram, dealing with anxiety and ways she copes with stress as an entrepreneur. Tune in for our last episode of 2018 as we hang out with los chiflados Hector Garcia & Steve Martinez from Neue Creative! We’ll be sharing our secret spiked abuelita hot chocolate recipe and lots more!! Episode 8. What’s Cookin Good Lookin? 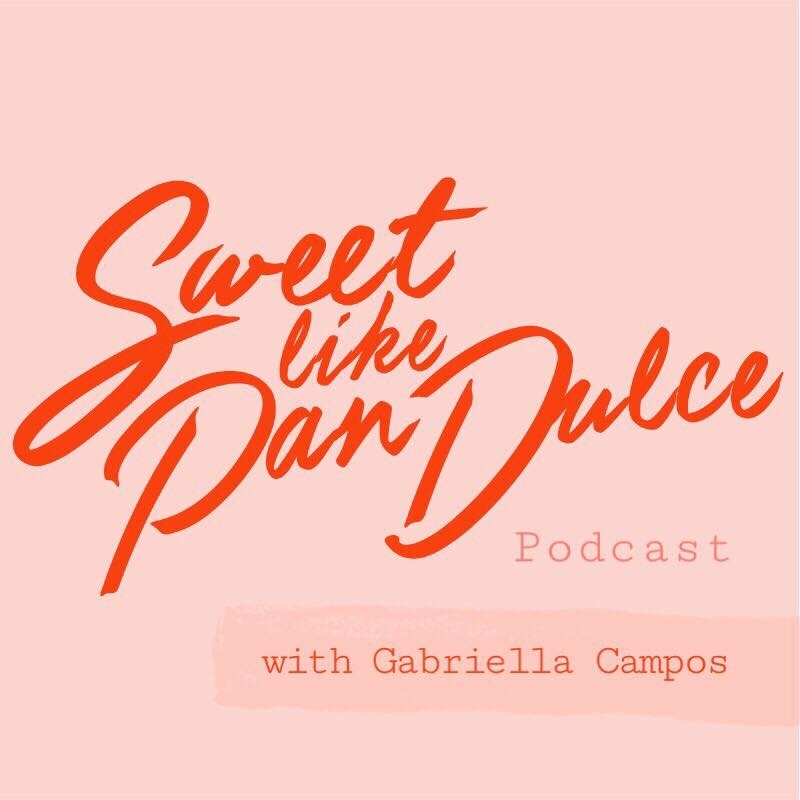 A New Year means new guests on the “Sweet like Pan Dulce” Podcast!!!! I’m so excited to start off 2019 with 2 amazing talented ladies that are taking over and changing Houston's resturant scene! Meet chef Evelyn Garcia, owner/chef of Kin Concepts, chef in residency at Decatur Var and Pop-up Factory & Chef Victoria Elizondo, owner/chef of Cochinita & co., Sous Chef at Decatur Bar and Pop-Up Factory!! Tune in as my special guest Co-host Hector Garcia of @neuecreative and I talk with Evelyn and Victoria about Houston’s new restaurant concept @decaturbarhtx , their favorite menu items and of course their inspiring stories of running their own businesses!